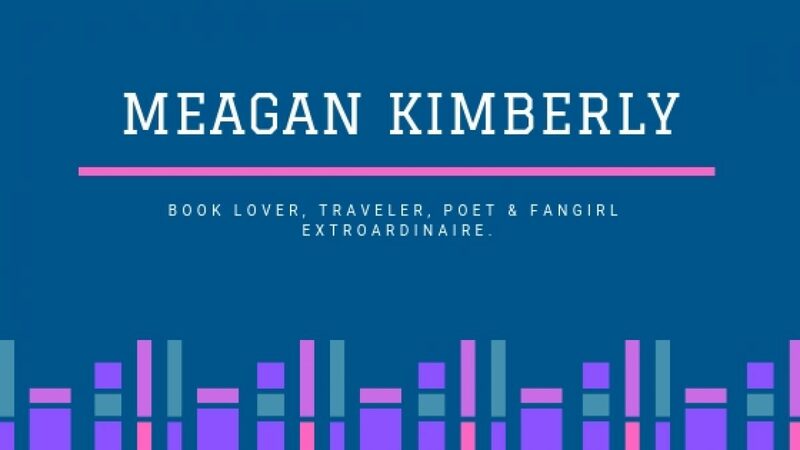 Meagan Kimberly – Page 17 – Book lover, traveler, poet & fangirl extroardinaire. Here’s my poem from Lady Lit Magazine published last month. A little late but that’s the life these days. Click the pic to follow the link. *Screenshot from Lady Lit Magazine website. I was absent all through the month of March as I was caught up in a whirlwind of new experiences. I traveled to Ireland (hopefully a post on that is coming soon), started grad school and started a new job. Needless to say, I’m adjusting to the new overflowing schedule of responsibilities and work. The next two and a half years will be interesting to say the least and I’m sure I’ll have my own little personal meltdowns when no one is watching. Anyway, all this to say to anyone who cares or follows me, bear with me, guys. I’ll be posting less frequently but I will try my best not to abandon this blog, as I’m sure my new life will be filled with stories to tell. Until then, know that I am not gone, just busy as hell. Wrote this a few years ago for an assignment in my first creative writing class at UCF. It was their fiftieth anniversary, the golden one. Fifty years ago on this day Theodore and Ethel were married in her father’s blooming garden. It had been filled with red and pink roses, white and purple carnations, purest white gardenias, and orange and yellow chrysanthemums, their sweet aroma dancing in the air around the young and hopeful newly weds. She had worn her mother’s wedding gown and he had used his mother’s wedding ring. The sun floated in the sky, a brilliant, golden orb. There were only three witnesses to this matrimony, and they were Theodore, Ethel, and Father James. Both Ethel’s and Theodore’s parents were dead. They did not need to invite friends or distant family. They had each other. After the brief ceremony, Ethel and Theodore remained together in the garden, reminiscing on times past and looking forward to the future. They danced to far away whispered music, hearing the strings of the acoustic guitar being plucked delicately from somewhere within them. Fifty years later, Ethel and Theodore still danced in the garden, appreciating the flowers’ sweet scents and feeling the golden setting sun warm them from the inside out. “Theodore darling, can you believe it’s already been fifty years?” Ethel asked in a hushed voice and with a smile on her face. “The best fifty years of my life,” Theodore responded tenderly, stroking her hair with a gentle hand. “Like it was yesterday,” he answered softly, a distant look in his eyes. “And you were stunning in that dress,” Theodore replied lovingly. “That’s all we needed,” he said. “I held you just like this,” he whispered. A serene sigh escaped Ethel’s lips. The sun had almost completely set by now, leaving a perfect line of gold on the horizon. She and her husband swayed to the long forgotten melody of fifty years ago. The garden’s blooms were beginning to wilt away, but their fresh fragrance still lingered in the cool, evening air. “Happy anniversary, honey,” Theodore said dreamily to his beloved wife of fifty years. “Happy anniversary, Theodore darling,” Ethel replied, exhaling happily. Hand in hand, they walked out of the garden as they had fifty years ago, and thought upon that golden sun and what it would bring them next.